I have a terrible sweet tooth. Cravings strike at any time, unannounced. This worked out wonderfully when I lived downtown and a 24-hour McDonald’s was a three minute walk away. Living on campus means everything closes around 12am (good thing too, otherwise my waistline would suffer!) and my cravings have been known to strike way beyond mid-night at times. I often resort to quick, easy to make desserts during times of need like this. 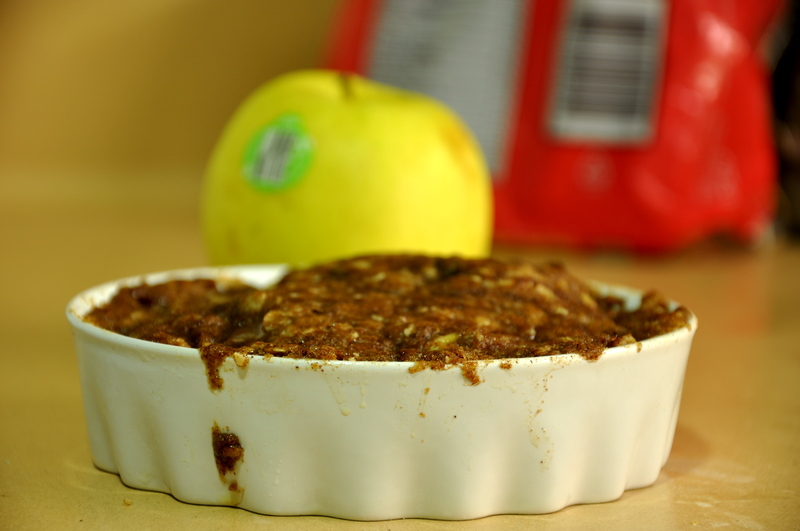 My favourite quick & somewhat healthy dessert is an Apple Crumble. I always have apples in my fridge because they don’t spoil easily, they are portable and delicious! 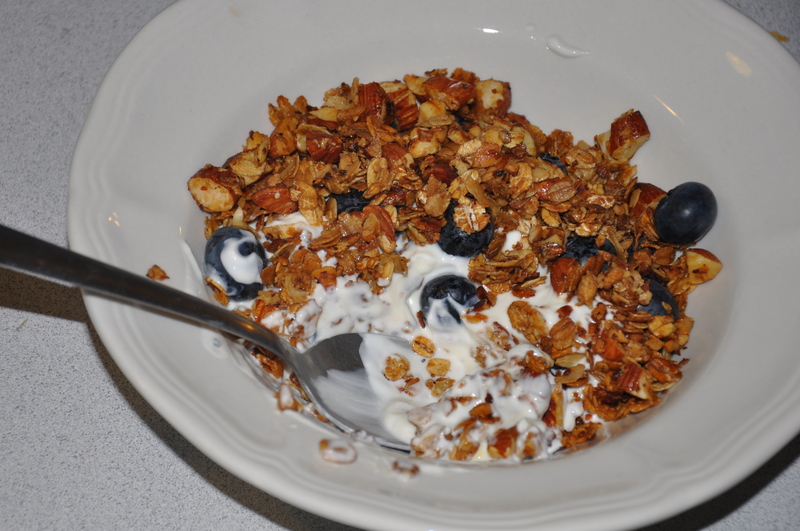 I always have oats because my mum drilled in the importance of fibre into my head before I left for university. I also always have sugar for cereal, tea and the occasional coffee. So this works out pretty well for me since you don’t need those annoying things you never buy like baking powder. 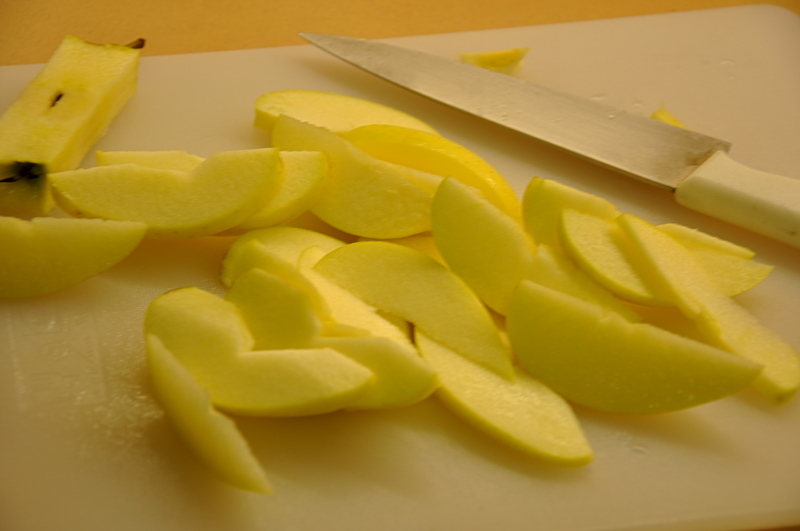 Since Golden Delicious apples are sweeter than Granny Smith, I like to squeeze half a lemon all over the cut up apples. This not only gives them a tang but also keeps them from going brown. Butter your baking tray and lay the apples in the tray. 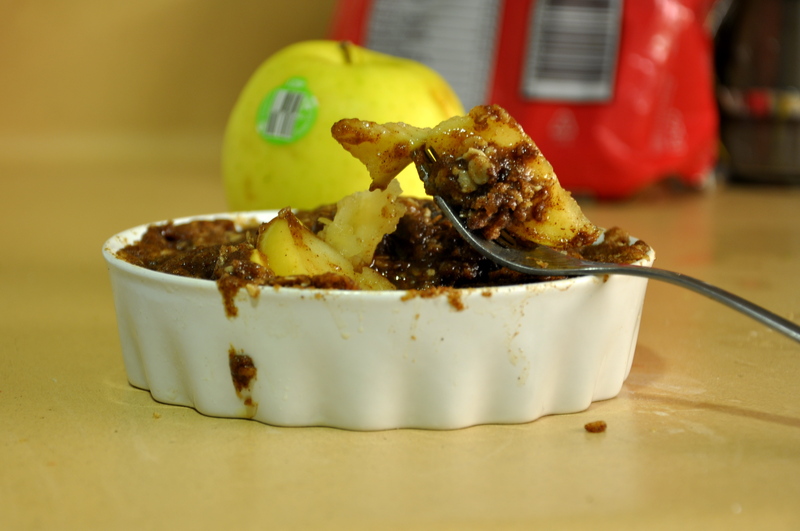 Make your crumble by incorporating butter, sugar, apples, cinnamon and ground nuts if you are going to use them. The consistency should be like wet sand and should be of a similar colour. Excuse my pictures, I dropped a ton of cinnamon in my mixture and it looks really dark. It tasted just fine, a little too sweet because I may have been a little liberal with brown sugar too. Top your apples with this crumbly mixture and stick it in the oven for about 10-15 minutes till the apples are soft and the topping is crisp. You can eat it with custard, ice cream or just by itself. 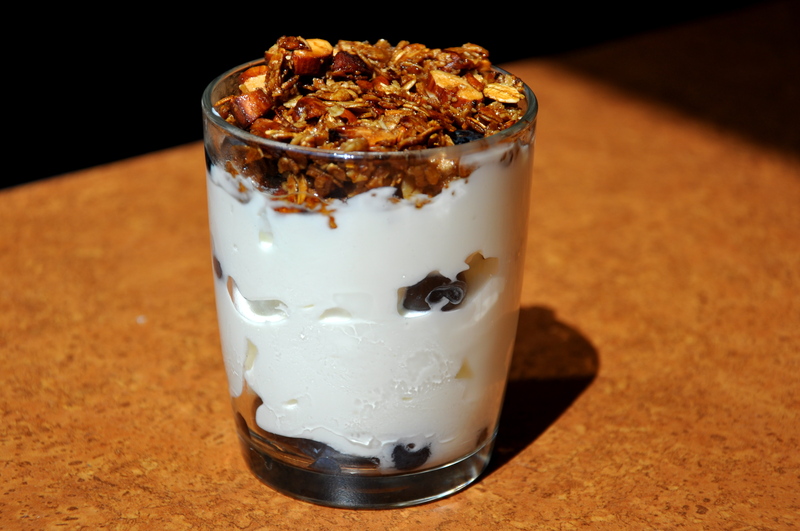 It’s a simple, easy, quick dessert you can make with things you probably have!